It is probably about a 50/50 split on those that truly enjoy the season of fall. You have your basic girls that love the pumpkin lattes and are SO pumped to wear their boots and sweaters. Then, you have your fall enthusiasts that enjoy the season for the wonderful activities that come with it. I have spent the last few college years enjoying the boots and sweater part of fall, but now it is time to enjoy the weather and activities. I doubt many of you know of the different near-by locations that have fall activities, so I wanted to put them all together for you so you can enjoy this beautiful season with some fun fall events. One of the most popular locations near Whitewater to have some fall fun is Schuster’s Farm. It is located about 25 miles away from campus, but totally worth the drive. They offer the following: corn maze, pumpkin patch, pig races, farm animals, a corn cannon, a haunted forest, and more! 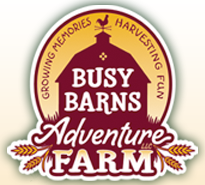 Another great location is Busy Barns Adventure Farm located in Fort Atkinson, so a bit closer. The offer hay wagon rides, a pumpkin patch, corn maze, and a Rooster Run. They are only open on the weekends, although it is a great, close location that can help you find your perfect pumpkin or corn maze adventure! If you are really interested in corn mazes, then Skelly’s Farm Market is the place for you! They are located just outside of Janesville, WI, and have been around for 15+ years offering a variety of different corn mazes. They also have fresh produce you can buy and many other activities throughout the fall season! 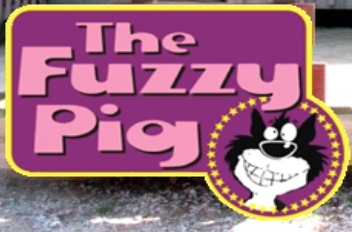 And lastly, have you ever heard of the Fuzzy Pig? During the summer, they are a cute, country store and restaurant located just outside of Whitewater. In the fall, they are the scariest haunted houses within 100 miles of campus. Check out their creepy houses here! One of the greatest things about living in Wisconsin is enjoying the change of seasons. That means, even if it is 50 degrees out, go outside and enjoy it! Carve pumpkins and get lost in corn mazes. So pick your favorite location, throw on some boots and a sweater, grab your pumpkin latte, and have some fun! We all have a favorite season or certain time of year that makes us feel our best. For some its fall because of the cozy sweaters and warm colored leaves and for some its spring because of the vibrant flowers and newly green grass. While we all have personal preference on what kind of weather and time of year we enjoy, did you ever think that a season could be unhealthy for you? 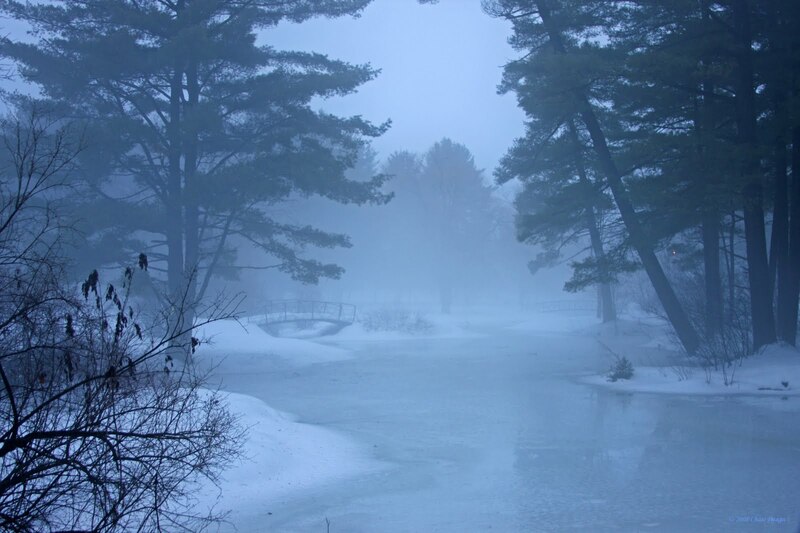 From the diagnosed disorder SAD (seasonal affective disorder) to simple wintertime blues, this cold time of year can take a toll on your mood. Therefore it is important to know how to beat the blues! 1.) Keep yourself in a consistent rhythm! Now that a lot of us are on winter break, we have a lot of time to lay around and watch Netflix and sleep. Nothing wrong with relaxing! We all deserve it after finals after all, but too many lazy days will put you in a slump. Creating a solid routine for yourself such as going to the gym in the morning, go to work or any commitment you have during the day, and then set tasks and chores to complete that night will help you tackle the day with a purpose. Being lazy is a nice contrast from a hectic semester, but doing nothing but laying in your bed every day will do nothing for your health or your mood. Leave the colorless, and bland gloominess for outside and fill your plate with vibrancy! The complex carbohydrates in fresh produce will increase levels of serotonin in the brain, whereas fats and refined sugars, reduce brain-derived neurotropic factor, which is a protein that protects against being in a bad mood and even depression. So out with the pasta and holiday casseroles and in with the foods that make you feel like you’re vacationing in the Caribbean! The sun may only be making an appearance til 5 or so but it doesn’t mean you need to put your day halt. Wake up early and make use of the day! Waking up in the middle of the day will allow you to be up when the sun is for only a few hours which contributes to a Vitamin D deficiency. Get up, bundle up and go for a brisk walk and soak in the sun, even in if the air is cold! These tips are helpful for anyone who wants to boost their mood during the winter, but being affected by the season can take more to beat the blues if you think you have Seasonal Affective Disorder. If you have signs of depression that make an appearance every year during the year but leave during the spring, it is important to see a doctor and discuss how to treat it. Ways to treat it include investing in a light box, exercise and proper diet, and investing in a negative ion generator which purifies indoor air, which can reduce SAD systems. While we all love this time of year because of the Holidays, it is important that we know how to take care of ourselves and don’t let our mood go into a slump after the ‘holiday high’. Whether its simple wintertime blues where you can prevent getting into a potential depression or if you think you have symptoms that match up with SAD, it is important to know how to take care of yourself and keep yourself at your healthiest and happiest, year round! As the year 2014 is wrapping up, we all know what is coming next; you need to pick a New Years resolution for 2015. We all do it and only about 30% of us are actually able to stick to that resolution. The most important thing to realize when deciding what you want to change about yourself in 2015, is make sure that it is realistic and don’t go for the usual “workout more” or “eat healthier”. 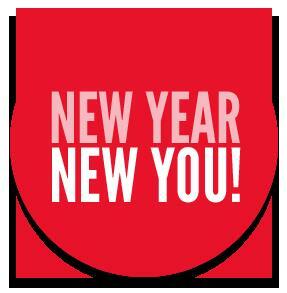 This year, try thinking of a resolution that will change you for the better. Of course we always think we do, but below are some areas that will truly help make you a better person in 2015. Mental: Once January 1, 2015, comes around, start treating yourself with respect. There is nothing more important than loving who you are. Speak nicely about yourself. If you are confident in yourself, others will see that and think confidently about you as well. If you speak nicely about yourself, other will also do the same. So in 2015, every day before you go to bed, write down something that you love about yourself. Not only will it probably make you smile, but also for days when you need a little pick-me-up, read what you’ve written. It’s like getting compliments from yourself, how perfect! Physical: This is where you can “workout every day” although skip the every day part. Make time for yourself at least 3 days a week. The best part about making yourself better physically is that being physically active also increases your mood, mentality, and over-all well being. Emotional: In 2015, start telling people how you feel. If someone says something that bothers you, tell him or her. If you like someone, why wait? Tell them! Getting your emotions out is very important in order to be 100% yourself. People that hold their feelings up inside of them are known to not be as happy. So once the New Year comes around, be an open book. People might think it is weird at first, but after awhile people will appreciate it, especially if it is good feelings. Intellectual: Learn something new every day and I don’t mean in class. Find a fun fact every day and share it with people. I actually started doing this in the middle of the summer. Every day I get the National holidays emailed to me (National Holiday Calendar). I absolutely love it because I have a fact to share with people. Maybe that seems weird to you, so how about just watching the news? Learning new information make you a well rounded person. Try it! So when you finally decide, when you finally pick what you want to change in 2015, write it down and stick to it! There are all different myths about how many days it takes to do something until it becomes a habit. Who really cares though, because once you decide what your New Years resolution is going to be, just do it everyday. From day 1, make it a habit. Trying to stay sane during finals may be one of the hardest tasks you will need to undergo within your college career. With all of the cramming of everything you’ve learned all semester in all of your classes in such a short amount of time can really take a toll on a person’s normality. One thing you should remember to do during these stressful last weeks is to make sure to make time to work out. There are so many different types of exercising and working out that have been proven time and time again to reduce stress. Something as simple as breathing exercises can help you relax and become less stressed. Slow, deep, regular breathing is a sign of relaxation within itself. The deep breathing counters the effects of stress by slowing the hearth rate and by lowering blood pressure. 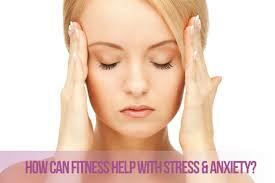 Yoga is also proven to reduce anxiety and manage stress. When we get stressed out, our body creates a hormone called cortisol. We need cortisol in real emergencies, such as breaking a bone and other severe incidents, but when we are creating it due to stress, there is excess cortisol and this is what can lead to ulcers, high blood pressure, bone density loss, and can also completely mess with your immune system. Yoga helps by the deep breathing that it entails. The specific breathing patterns called pranayama, helps get rid of access cortisol and therefore helps out become less stressed. I previously wrote a blog on my experience of yoga and how challenging it really can be. Check it out and leave me a comment of what you think! Aerobic exercise not only brings benefits to your body, but also your metabolism, hearth, spirits, and stress levels. The mental benefits of aerobic exercise have a neurochemical basis and reduce stress hormones like adrenaline and cortisol. Any time if exercise for at least 30 minutes a day can greatly reduce these negative hormones and you can help you see the benefits. Weight lifting is the same way as other exercises. The heavy strain that you put on your muscles produces endorphins in a fast period of time. The bigger the muscle group that you are working out and the more muscles at once, the more endorphins you are going to produce during and after the workout. Three great exercises are bench press, squats and leg press. And remember to make time to relax, drink some tea, hang out with your friends or do something you really enjoy doing. You are going to go absolutely insane if you are studying for weeks straight. Sometimes exactly what you need is a laugh or something to help you get in the correct state of mind to continue your fun-filled studies.